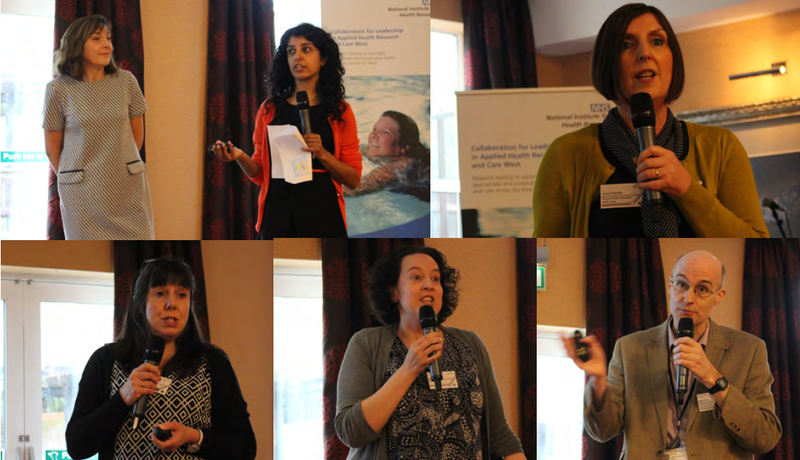 The West of England AHSN, on behalf of the West of England Patient Safety Collaborative, hosted the fifth event of the Deteriorating Patient programme on 16 March 2017 at the Cheltenham Chase Hotel, Gloucestershire. This marked the two year anniversary of a programme, which specifically focuses on promoting the use of the National Early Warning Score (NEWS) in all health care settings across the region, and communicating this score at the point of patient handover between services. Our aim is to improve patient safety by earlier recognition of the deteriorating patient, particularly those at risk of developing sepsis. The event was attended by 102 delegates across 42 different organisations, representing patients, primary and community care, out-of-hours GP services, mental health services, the ambulance and acute trusts from across our region, plus some additional interested parties from our neighbouring counties and AHSNs. Our previous events have focused on supporting the use of NEWS within our member organisations, and communicating NEWS at the handover of care. This time the event focus was to celebrate the progress we have made towards our programme aims and how data can both evidence our successes and identify focus for future work. You can read a full report on the event here, which includes a summary of the presentations delivered, the outputs from the workshops, our plans for evaluating our regional programme and a summary of our focus for the next year. We also showcased our new short film, which makes an elegant and compelling case for the use of NEWS across the urgent care pathway. Our new film tells the story of Paul from North Somerset, who made a quick and full recovery from sepsis as a result of NEWS (the National Early Warning Score) being communicated at every handover of care. You can view this video here.